Ayobami Adebayo’s sensitive, exposing first novel is about the lies and false hopes we tell ourselves to stay sane, and the cataclysmic impact the decisions we make can have on the people we love. 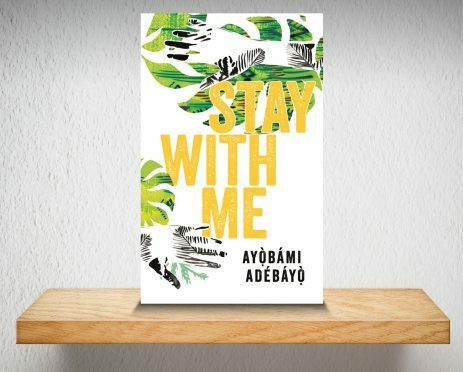 Framed by a funeral taking place in Nigeria in 2008, Stay With Me explores the expectation and custom that a marriage isn’t considered complete unless a couple bears children. Frayed by years of barrenness, Akin and Yejide struggle with their inability to conceive, an ongoing trauma that is only exacerbated when interfering family members demand they make room for a fertile second wife. As man and (first)wife are riven by loss, resentment and jealousy, the Nigeria of the mid-Eighties and early Nineties politically liquefies and reforms around them, dissolving and reorganizing, the military chasing down consensus, democracy and protestors. Adebayo also delicately weaves in the distress caused by sickle cell disease, the gene for which is carried by one in four Nigerians. The scope of Stay With Me is huge, and yet, the writing of it is painfully intimate, the problems and wounds so personal and tightly wrought that, at times, you want to put the book down and step away, as if, with every new revelation, you are further intruding, unforgivably, into this couple’s life. Fortunately, the brilliance of Adebayo’s storytelling stops you.